Vladlena Benson is Academic Relations and Research Director at ISACA LC and Professor of Cybersecurity at the University of West London. 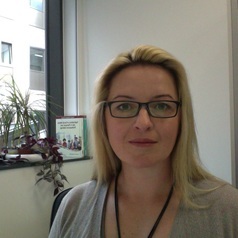 She is a specialist in technology governance, risk and compliance (GRC) and a Government Communications Headquarters (GCHQ)-certified Cyber Security Risk Management Frameworks practitioner. She is currently working with UK businesses on privacy and cyber security initiatives, such as the forthcoming General Data Protection Regulation (GDPR) and privacy compliance. Prof Benson’s research areas cover: information privacy; cyber victimisation; gender and culture differences in online behaviour; digital rights and the cyber vulnerability of young people. Her work also relates to religious orientation, digital behaviour and privacy on social media.